There is an unnecessary tendency for proponents of complexity theory to say that it is radically new; a scientific revolution; that it will change the way we think about, and study, the natural and social world. It suggests that we shift our analysis from individual parts of a system to the system as a whole; as a network of elements that interact and combine to produce systemic behaviour that cannot be broken down merely into the actions of its constituent parts. The metaphor of a microscope or telescope, in which we zoom in to analyse individual components or zoom out to see the system as a whole, sums up this alleged shift of approach. A complex system is greater than the sum of its parts; those parts are interdependent – elements interact with each other, share information and combine to produce systemic behaviour. Some attempts to influence complex systems are dampened (negative feedback) while others are ampliﬁed (positive feedback). Small actions can have large effects and large actions can have small effects. Complex systems are particularly sensitive to initial conditions that produce a long-term momentum or ‘path dependence’. They exhibit ‘emergence’, or behaviour that results from the interaction between elements at a local level rather than central direction. They may contain ‘strange attractors’ or demonstrate extended regularities of behaviour which may be interrupted by short bursts of change. Law-like behaviour is difﬁcult to identify – so a policy that was successful in one context may not have the same effect in another. Policymaking systems are difﬁcult to control; policy makers should not be surprised when their policy interventions do not have the desired effect. Policy makers in the UK have been too driven by the idea of order, maintaining rigid hierarchies and producing top-down, centrally driven policy strategies. An attachment to performance indicators, to monitor and control local actors, may simply result in policy failure and demoralised policymakers. Policymaking systems or their environments change quickly. Therefore, organisations must adapt quickly and not rely on a single policy strategy. Rely less on central government driven targets, in favour of giving local organisations more freedom to learn from their experience and adapt to their rapidly-changing environment. To deal with uncertainty and change, encourage trial-and-error projects, or pilots, that can provide lessons, or be adopted or rejected, relatively quickly. Encourage better ways to deal with alleged failure by treating ‘errors’ as sources of learning (rather than a means to punish organisations) or setting more realistic parameters for success/ failure. Encourage a greater understanding, within the public sector, of the implications of complex systems and terms such as ‘emergence’ or ‘feedback loops’. 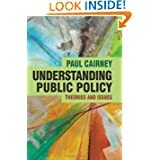 In other words, this literature, when applied to policymaking, tends to encourage a movement from centrally driven targets and performance indicators towards a more flexible understanding of rules and targets by local actors who are more able to understand and adapt to rapidly-changing local circumstances. Lipsky’s idea of ‘street level bureaucracy’. He suggests that there are so many targets, rules and laws that no public agency or official can be reasonably expected to fulfil them all. In fact, many may be too vague or even contradictory, requiring ‘street level bureaucrats’ to choose some over others. The potential irony is that the cumulative pressure from more central government rules and targets effectively provides implementers with a greater degree of freedom to manage their budgets and day-to-day activities. Alternatively, central governments must effectively reduce their expectations by introducing performance measures which relate to a small part of government business (see this discussion of Street Level Organizations https://paulcairney.wordpress.com/2013/09/09/street-level-bureacrats/). Hjern’s focus on intra-departmental conflict, when central government departments pursue programmes with competing aims, and interdependence, when policies are implemented by multiple organizations. Programmes are implemented through ‘implementation structures’ where ‘parts of many public and private organizations cooperate in the implementation of a programme’. 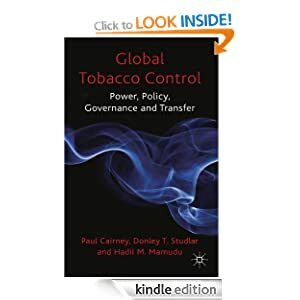 Although national governments create the overall framework of regulations and resources, and there are ‘administrative imperatives’ behind the legislation authorizing a programme, the main shaping of policy takes place at local levels. Governance. A lack of central control has prompted governments in the past to embrace New Public Management (NPM) and seek to impose order through hierarchy and targeting. However, local implementation networks (with members from the public, third and private sectors) have often proved not be amenable to such direct control. Lindblom’s discussion of incrementalism in 1959: ‘Making policy is at best a very rough process. Neither social scientists, nor politicians, nor public administrators yet know enough about the social world to avoid repeated error in predicting the consequences of policy moves. A wise policy-maker consequently expects that his policies will achieve only part of what he hopes and at the same time will produce unanticipated consequences he would have preferred to avoid. If he proceeds through a succession of incremental changes, he avoids serious lasting mistakes’ (or she/ her). Consequently, we should reject the idea of theoretical novelty for novelty’s sake. The value of complexity theory is not that it is trendy – it is that it allows us to use our knowledge of the natural and social world to understand and influence real world problems. Empirical issues: How does ‘complexity thinking’ improve our understanding of politics and policymaking? 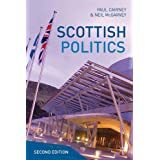 See ‘Complexity Theory in Political Science and Public Policy’ PDF Paywall Green and the introduction and conclusion to our Handbook on Complexity and Public Policy. Click on the picture at the top of this post for a nice surprise.